The UK was the first country in the world to hold a swift awareness week from 16 to 23 June 2018. The purpose was to raise the awareness amongst the general public of the existence and the unfortunate gradual demise of these amazing birds. The message was “ You can Help Swifts”. It seems that all the efforts made by nearly 60 local Swift support groups by giving talks, arranging walks in the locality and even processions in some places – met with great enthusiasm from the public, with many vowing to fit nest boxes or insert the more permanent swift bricks high up in the walls of their house. One event was held in Tring Hertfordshire by Tring Live with an evening talk by Edward Mayer of the Swift Conservation Organisation about how to help swifts. Swifts arrive in the UK in the first week of May having made the journey from central or southern Africa that can involve a flight of some 2500 miles, possibly more, depending on the exact route they took. These ‘Devil Birds’ are distinctive for their speed of flight and screeching call. Their aerodynamics are replicated in the world’s fastest fighter jets and the recent Boeing Dreamliner. They never land on the ground because their wings are too long and their legs are short. Until they are mature enough to breed in their second or third year, swifts just keep flying. They feed, sleep, and even mate on the wing. When a pair are ready, they will return to the same nesting site under the eaves of a house or other building. Unfortunately when the buildings that have provided nesting sites are renovated, access by the birds is often no longer possible. Sadly the UK has lost half of its Swift population over the past 20 years. The public can easily help Swifts by leaving existing entry points under the eaves and providing specially designed nest boxes for fitting externally as high as possible on a building. Better still, where a new property is being built or an extension constructed, they can consider inserting a few Swift bricks in place of solid bricks. 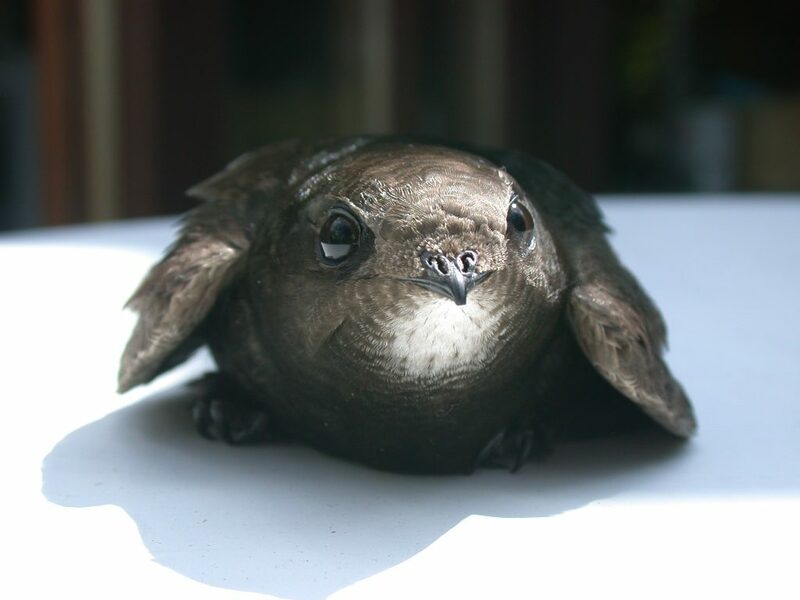 What will you do to help keep Swifts continuing their 46 million year existence? Thank you, Robin! An excellent piece on these amazing birds, and how we can help them. Thank you Robin for raising awareness of Swifts.